Why a heat pump system is the preferred choice. 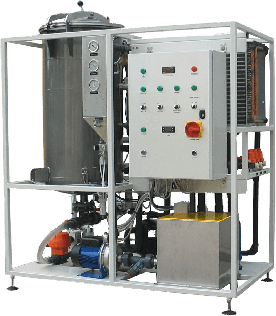 The HPS series feature an internal coil for maximum heat transfer efficiency and concentration, these self-contained systems are ideal for a wide variety of applications including machine coolants, oil emulsions, rinse waters etc. 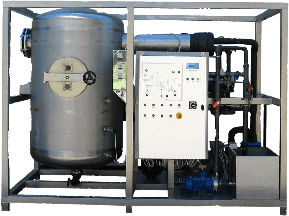 The range of equipment starts with flow rates of just 240 litres per day and increases through the different models to over 12,000 litres per day. 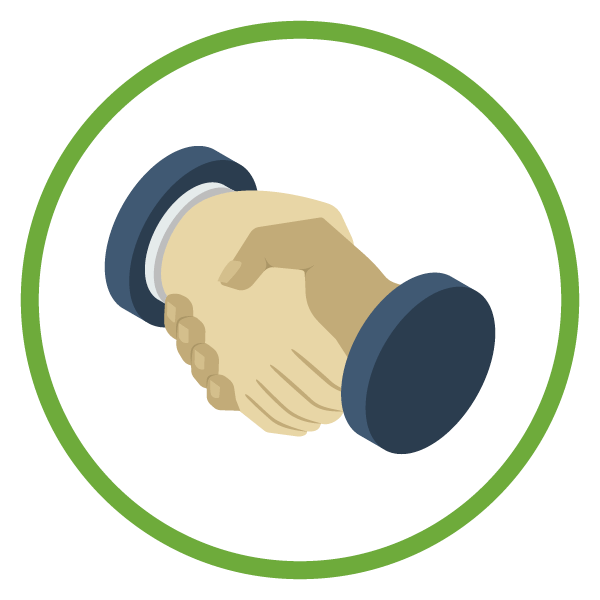 The technology is easy to install and is extremely reliable. Flow rate from 240 to 6,000 litres per day. 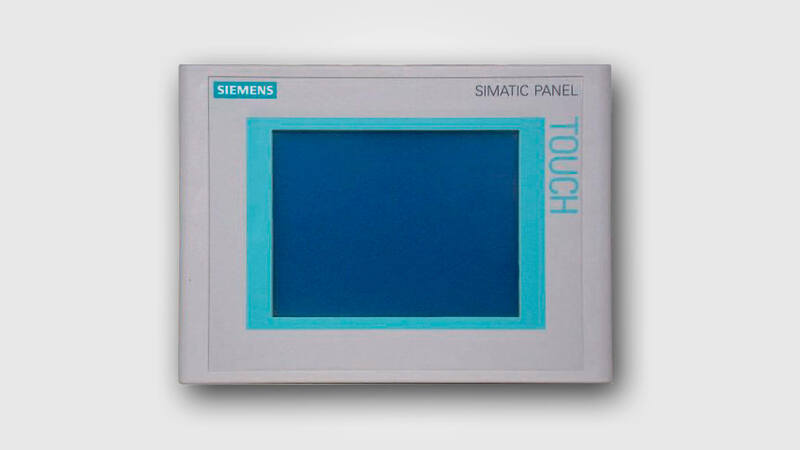 Models WT 50 and above fitted with Siemens PLC with 7” touch screen. 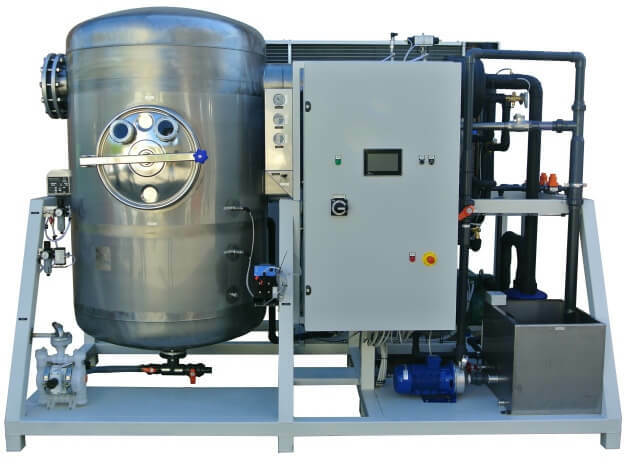 Heat pump systems are available with the HP R Series, self cleaning boiler system for products that can encrust the boiler surface like paints and inks.